Vienna, we salute you! The timeless tunes of Johann Strauss, Franz Lehar and Emmerich Kálmán will bubble like champagne around the mellifluous chamber of Walt Disney Concert Hall in a traditional Viennese New Year’s Day afternoon concert. 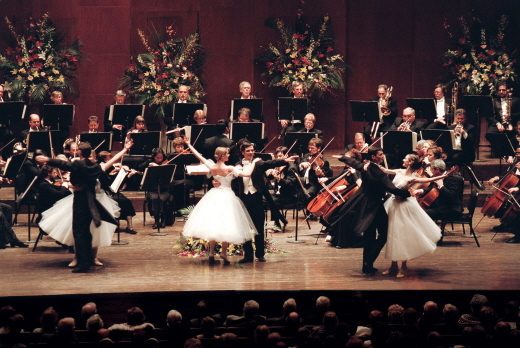 A mix of operetta, ballroom dance, and the delicate beauty of ballet with acclaimed European singers and dancers with a full orchestra weaving highlights from Merry Widow,Die Fledermaus, and Gypsy Princess with energetic overtures, Strauss waltzes including the Blue Danube,and polkas from Vienna’s golden age. 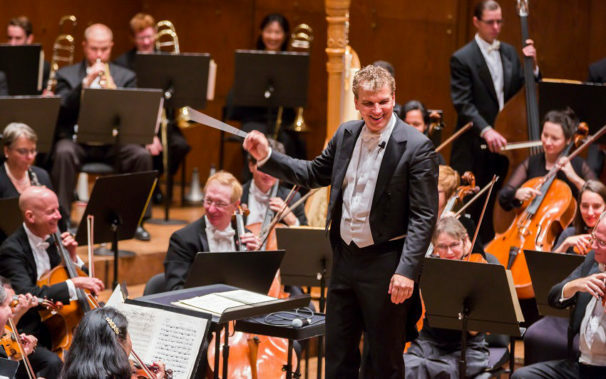 Conductor András Deák leading the Strauss Symphony of America, who will perform with soprano Katarzyna Dondalska, Viennese tenor Alexander Kaimbacher, members of the Kiev-Aniko Ballet of Ukraine,and International Champion Ballroom Dancers.